As many IT departments struggle to keep up with yearly technology changes, company employees increasingly want to use their own devices to access corporate data. Bring Your Own Device (BYOD) offers employees and corporations countless business benefits from increased efficiency to controlled costs on provisioning a mobile workforce. As part of this consumerisation, BYOD encourages company employees to work on the device they choose - accessing corporate email on their device to view text documents. The goal for SMBs? Increased productivity and reduced costs. There’s no doubt about it, the mobile revolution is in full swing and it’s having a big impact on how we all do business. It’s setting companies free; you can now work and communicate from anywhere, any time. This is great for productivity and business innovation. The downside is that there’s a lot of data on the loose. With Mobile Device Management products we can help you secure your precious data wherever your users are and on whatever device they’re using. iPads, Blackberries, Androids and tablets of all shapes and sizes no longer pose a threat. Data loss is taken care of, compliance is conformed with and reputations stay in tact. 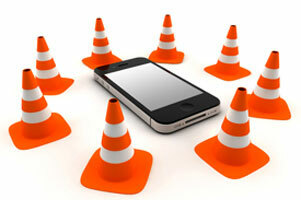 Bring Your Own Device (BYOD) is changing the face of mobile security. You need to protect an array of devices on your corporate network—some owned by employees and some by your company. Sophos can help you simply secure and manage all your devices and protect the sensitive data on them. And what’s even better, it won’t get in the way of employee productivity. So you stay flexible and safe. Sophos Mobile Security is a robust yet lightweight app which comprehensively protects your Android device without compromising performance or battery life. Using up-to-the-minute intelligence from SophosLabs, your apps will be automatically scanned as youinstall them. This anti-virus functionality enables you to be protected from malicious software which can lead to data loss and unexpected costs. Moreover, if your device is lost or stolen, a remote lock or wipe will shield your personal info rmation from prying eyes. That is what we call complete security! AirWatch® enables unprecedented device choice and supports the device ownership models you choose without compromising the security and management of your mobile fleet. AirWatch provides a flexible model for asset management, policy enforcement, and distributing profiles, apps and content, based on device ownership type. Employee Enablement - AirWatch supports all major mobile platforms, allowing you to implement a flexible BYOD program. User Experience - AirWatch’s simple enrollment process provides a consistent agent-based flow for major platforms. BYOD Policy - AirWatch enables companies to separate corporate and personal data on devices through customizable privacy policies that can be based on device ownership type. 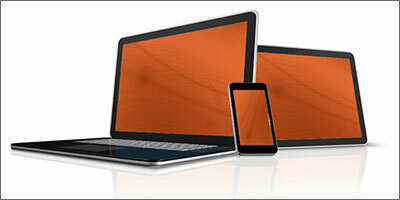 Security - Corporations need to enable BYOD without sacrificing the security needs of IT. Retirement - Administrators can remove access to corporate email, Wi-Fi and VPN when an end user un-enrolls or leaves the company.